All the IPOs each year are tapped and analyzed under this category. Israel can’t hold itself from innovating healthcare. All the healthcare innovations that are referred as disruptive will have its root flagged to Israel in some or the other way. It would not be wrong to quote region, as medtech innovation hub. It is cited by some journals as a province that could lead medtech tech breakthroughs, primarily because it lives and breathes revolution. Though the country stands in the middle of all the possible odds, its man power does not seem to get diverted from their goal of transforming healthcare on day to day basis. Walking on a similar path and living up to region’s reputation is; Israeli nitric oxide drug device player, AIT, who after investing its time and resources for close to 4 years on developing its product technologies, want to venture into bigger game by hosting USD 36 million IPO. 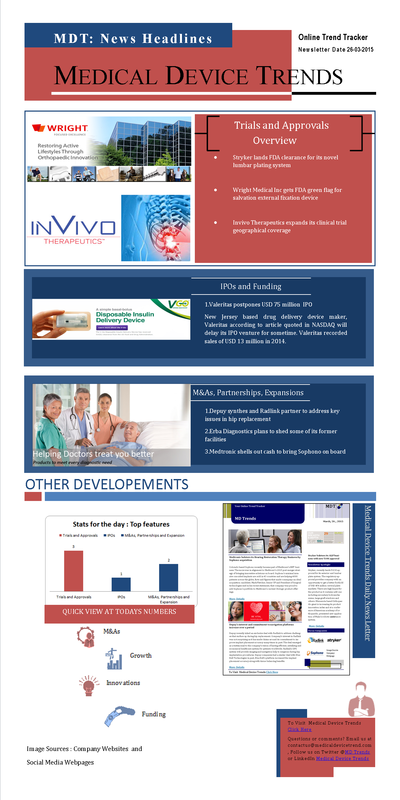 Off late, good numbers of news releases focused around nitric oxide and its healthcare application have started to flood medtech journals. 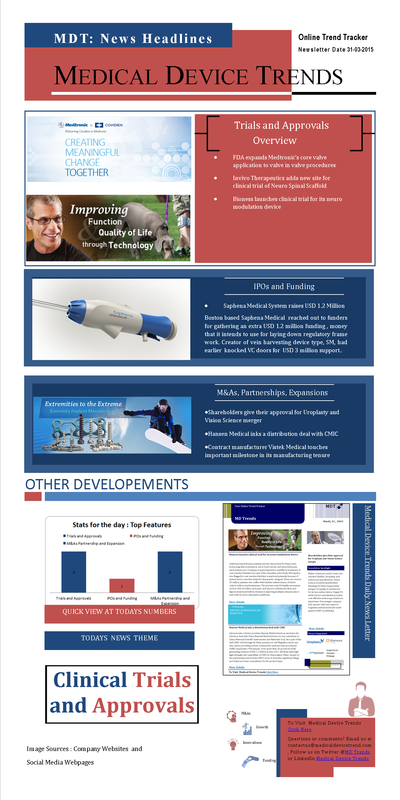 Earlier this month it was around generating nitric oxide through air which made N-Oxide based treatments inexpensive, and now the development from yet another organization looking to address respiratory issues through nitric oxide based platforms. AIT ( Advanced Inhalation Therapies) intends to use the inherent properties of NO, which are anti-bacterial, fungi and viruses to treat patients. It says that, one of the way by which body immune system responds to external agents is via NO release. A point which we believe is the foundation of company’s entire developments. AIT aspires to use the fund generated from IPO hosting to run clinical trials for its NO based formulation and delivery system. Company had started its chase of developing a novel formulation and delivery system for areas where current developments have limited effectiveness. With strong pipeline of products answering the need of patients suffering from bronchiolitis, cystic fibrosis, pneumonia and asthama, AIT holds key to some of the most challenging health issues to be dealt with. 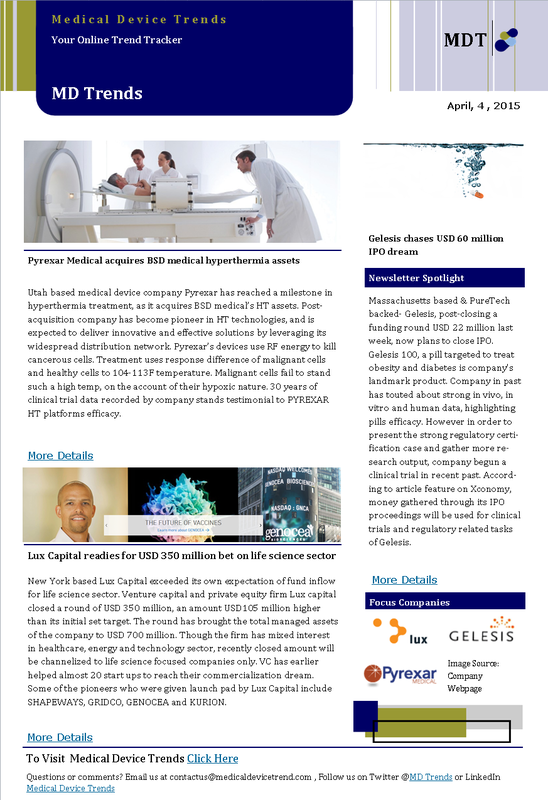 Medical device trends new feature, MDNT ( Medical device news trends) captures top news releases of the day, along with stats highlighting activities that remained at the forefront of medtech focus. Was it funding, IPO, product approvals or an innovation, Subscribe it to know it.